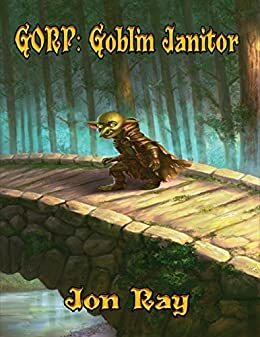 I'm fantasy author Jon Ray of the Gorp the Goblin series. To introduce one lucky winner to the world of Gorp the Goblin, I'm giving away a free paperback copy of the first book in the series to a random member of my Newsletter. I will also pay to ship anywhere in the world, so everyone is welcome to join. eBooks are great, I read a lot of them myself, but there is just something different about having a real paperback book in your hands. The January Newsletter goes out on the 15th and I'll be picking a random winner from those signed up before the February 15th Newsletter goes out.